Home > Latest News > Toyota GB is one of the UK’s 100 Best Companies to work for! Toyota GB is one of the UK’s 100 Best Companies to work for! 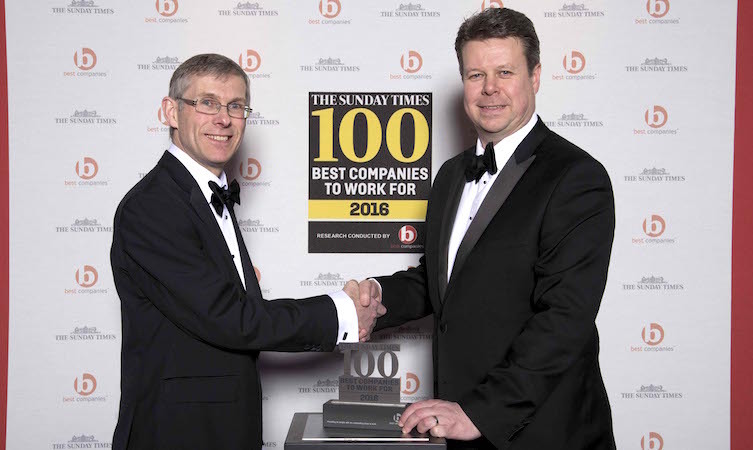 Toyota GB has been recognised as one of the UK’s top employers for a second successive year, being placed among the Top 100 mid-sized businesses in the Sunday Times Best Companies survey. Staff praised the company for being somewhere they’re proud of working, and highlighted its work with the environment and charities in particular. In the spirit of living Toyota’s ‘Always a Better Way’ mission, the company places a keen focus on engagement and well-being – a fact endorsed by 89 per cent of staff who say they feel proud to work for Toyota. This score places Toyota ninth highest of all companies surveyed. The same percentage say Toyota GB cares for the environment – the third highest score of all companies surveyed. Toyota has a longstanding global commitment to reducing the effects of its business on the environment, with models like the pioneering hydrogen-powered Mirai and a range of hybrid vehicles placing the business at the forefront of the low-emission movement. That approach also applies to the UK, with initiatives such as the new ECO HQ project re-landscaping the company’s Surrey head office to improve biodiversity and seeing locally native plant and animal species re-introduced to the premises. It’s not just the environment that Toyota GB cares for either – 87 per cent of staff scored the company positively for encouraging charitable activities. As well as working with its dealer network and partner businesses to raise more than £700,000 for Red Nose Day in 2015, the ongoing Toyota Fund for a Better Tomorrow awards grants to causes nominated by head office and dealer network staff. And with 72 per cent saying they are happy with their remuneration, Toyota GB offers a fair deal too. Staff celebrated the announcement last week with a tea party which saw a traditional country garden constructed inside the Toyota GB offices.